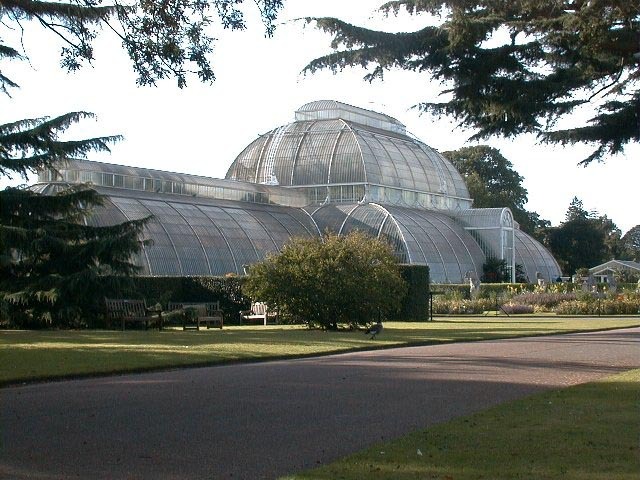 Palm House, Royal Botanic Gardens, Kew. Decimus Burton. 1844-48. Restored in the 1950s and 1980s. Photograph by Peter Evans. Peter Evans has generously shared this photograph with the Victorian Web; copyright remains, of course, with him. Readers may wish to visit his site for many beautiful photographs of the U. K. and other countries, including Japan. [GPL]. J. Mordaunt Crook. The Dilemma of Style: Architectural Ideas from the Picturesque to the Post-Modorn. Chicago: University of Chicago Press, 1987.